One of my favorite products in the past decade has been Tellme, which is now a subsidiary of Microsoft Corp. and pioneer of voice services, announced the first mobile vice service to combine content and communications, simplifying how people interact with their phones every day. Unlike other voice-based services, Tellme is the first to allow people to press one button, say what they want and get it, whether that is to send a text, make a call or search for information. Tellme has designed a unique version of this experience specifically for Windows phones due out this fall. 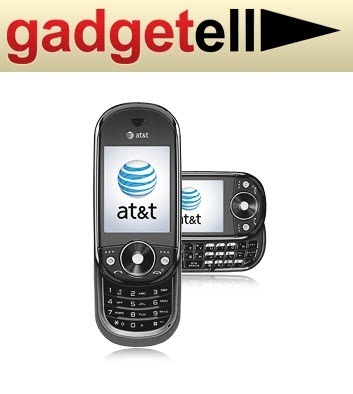 As those who asked about TellMe you can access it now from any phone by calling 1-800-555-TELL. 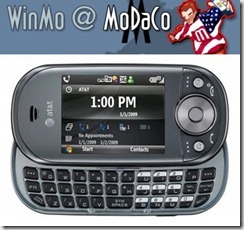 Also TellMe will be used in select Ford Cars for LOB applications as part of Ford Sync, which was announced at CES 2009. Search the Web with Microsoft Live Search by speaking your request, such as "weather in San Francisco, California", "Pizza in Kansas City" or "mother’s day gift ideas"
"Because it’s so intuitive, we believe there is a real opportunity for voice to materialize as the leading user interface for the phone," said Dariusz Paczuski, senior director of consumer services at Tellme. 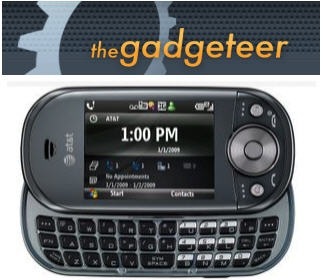 "By bringing voice access to calling, texting and searching together we reduce ‘menu surfing’ on phones and make the convenience of voice more tangible for everyday needs." 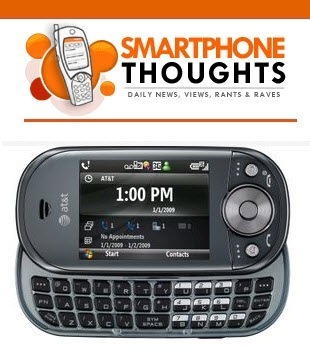 In a head to head comparison, it’s clear why people prefer voice over touch. For example, it requires four touches and more than 20 keystrokes to find a business with the Apple iPhone, while it only takes one button push and one verbal command to find the same business with Tellme. Tellme’s research shows similar results for other tasks, such as making calls, sending text messages and searching for content like traffic, movies, news and sports. "For example, Sprint has integrated our voice access to the Live Search application on Sprint Instinct phones and subscribers love it," continued Paczuski. "In fact, we’ve seen impressive adoption of voice with 3 of every 4 search queries being initiated by voice." Finally, in a recent study conducted by Sanderson Studios, more than 70 percent of respondents said that voice is superior to keypad or touch-based methods to perform some of the most popular mobile tasks. This includes looking up a business listing or location (78 percent), sending a text message (72 percent), placing a call (79 percent), getting information such as movies, weather, traffic or sports (77 percent) and getting directions (81 percent). For the past decade, Tellme has been pioneering voice services for businesses and consumers, answering billions of calls every year and helping millions of people get the information they need simply by speaking a request. Now the convenience of voice is coming to Windows phones, bringing people closer to the things they want by providing easier access to more of the phone’s functionality. 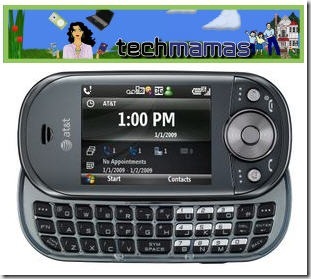 With Tellme, people using the latest Windows phones will be able to simply say what they want, such as ‘call mom’ or ‘text Jim’ or ‘pizza,’ and results display on the screen. 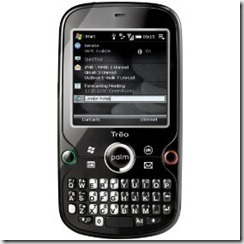 Tellme will be available for free on Windows Mobile 6.5 phones in the Fall 2009 when the phones hit store shelves. Initially available in the Windows Marketplace for Mobile store, Tellme will also make the service available for free to mobile operators and carriers to embed ‘on-device’ for a voice experience right out of the box. More information and a video of it in action can be found here. 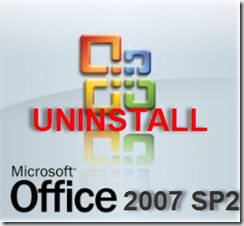 I have received a few emails of people having problems with third party plug-ins and wanted to know if there was a way to uninstall the latest SP2 for Office 2007. 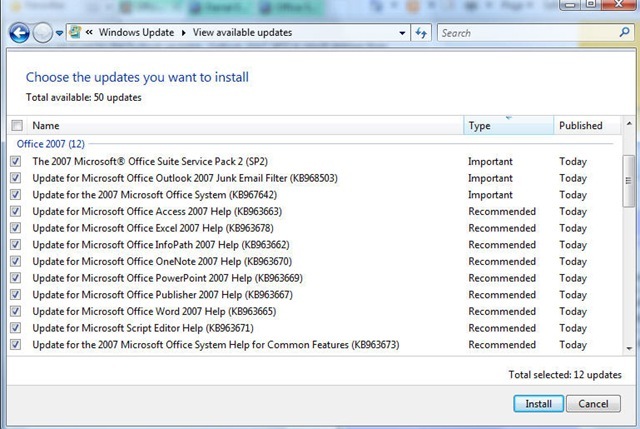 Well you are in luck, Office 2007 Service Pack 2 (SP2) does allow for a clean uninstall where in the past you had to uninstall the entire Office suite and then reinstall. 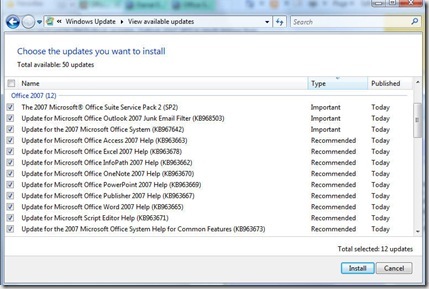 The 2007 Microsoft Office Suite Service Pack 2 (SP2) is the first service pack to support uninstalling the updates for the 2007 Office desktop products. I haven't had any problems with it so far only speed and stability performance increase, but if you do at least there is a way to roll back the clock. 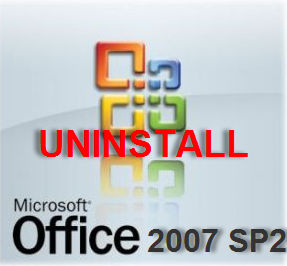 The Microsoft Service Pack Uninstall Tool for the 2007 Microsoft Office Suite is a command line tool which will assist with uninstalling client patches installed by the 2007 Office Suite SP2. 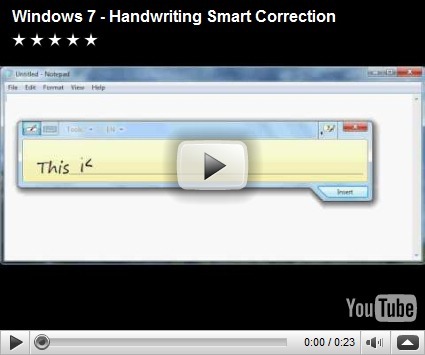 To download this utility click here. 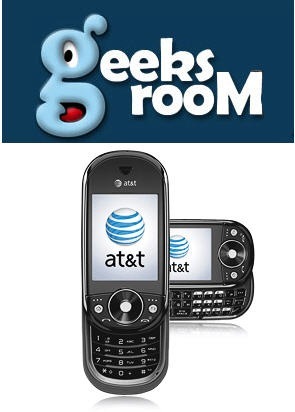 OK this weeks deals look to be some pretty sweet ones with several coming from Geeks.com. 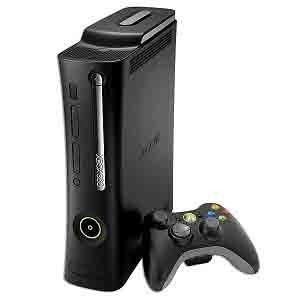 They got the Xbox Elite until April 30th for $219 with code ELITE more details here with free shipping. 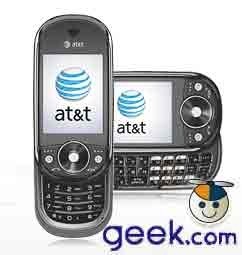 Geeks.com also has a backup camera for $49 also until April 30th with code CAMDEALS. Don put up a great review of the Pure Digital Flip Ultra Camcorder last week here is its little brother in white –refurbished with 60 minutes of video for quite a good deal - $79.99 over at Buy.com with free shipping. 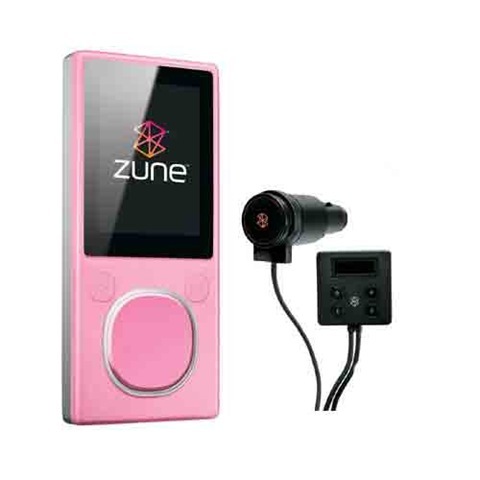 If you are looking for something to give mom for Mother’s Day Buy.com thinks she may like this Microsoft Zune 4GB Pink with Free Microsoft Zune Car Pack v2 for $74.99 with free shipping. Yeah its pink, but you can get a skin for it and customize it. 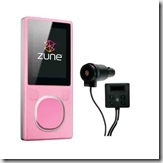 :) This is cool if you have RDS in your car radio, the artist and song info from your Zune will be displayed on your radio via the FM transmitter.Pretty cool stuff and not bad considering the car kit still retails for near $79.99 in some places. 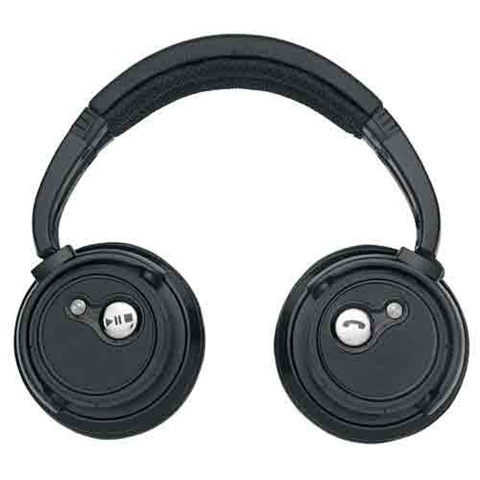 Buy.com also has the Motorola S805 DJ Style Bluetooth Stereo Headphones, which are great if your phone supports A2DP & AVRCP Bluetooth stereo. 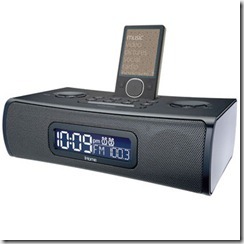 Its not in a box but is sold as new in a Poly-Bag for $29.99 with free shipping. 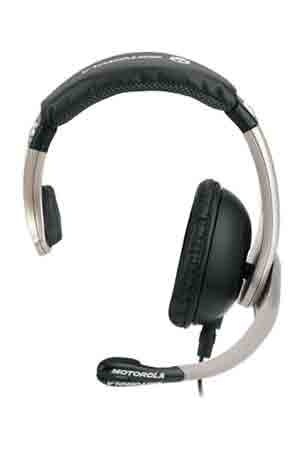 Don alerted me to this deal earlier in the week the Xbox 360 Motorola Gaming Headset - $12.99 Use code motoxbox360Live for additional $10 off so its $2.99 with around $10 shipping. 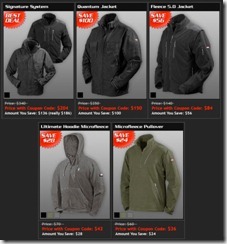 Not a bad deal to look like John Madden or your favorite hoodie-wearing coach. 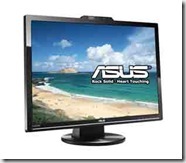 ZipZoomFly has the ASUS VK266H 25.5in Widescreen LCD Monitor 2ms 300 cd/m2 Glossy Black with 2MP webcam for$299.99 after MIR. not bad for near 26” computer display. 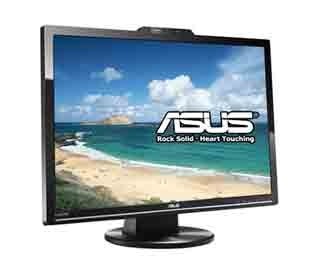 Asus LCD is perfect for using both as an every day computer monitor for office tasks, and also perfect for playing back HD movies such as BluRay, and also gaming it has component and HDMI 1.3 inputs and SPDIF out. It also supports HDCP so you can view BluRay in all its splendor. Another thing that is really cool is that it has Splendid Video Intelligence Technology, which analyzes the video input picture and adjusts the screen to get the very best image quality. 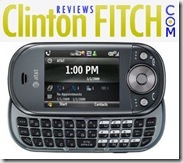 It also has built-in 3W speakers. 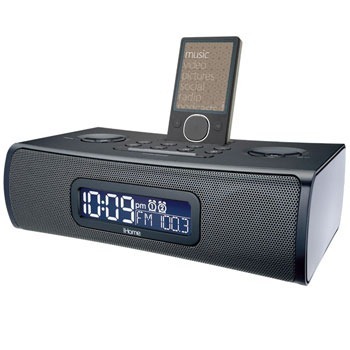 I am thinking of getting one of these to use a bedroom/secondary television works if you have a laptop for (Sling, Hulu, You Tube, NetFlix, Amazon)DVR, Xbox 360, or Cable box as a source. Also if you have small notebook or netbook an additional screen at almost 26” is a great accessory. Amazon is having a sale on Samsung HDTVs. 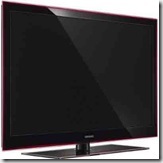 Get the Samsung LN52A750 52-Inch 1080p DLNA LCD HDTV with Red Touch of Color for $1,999.98. You’re saving 31 percent off of the original price of $2,899.99 with 120Hz Auto Motion Plus scanning (that can be turned off if you don’t need it or it bothers you), 4 HDMI 1.3 ports, InfoLink-RSS feeds of news, weather and sports right to your HDTV with a built-in Ethernet port. 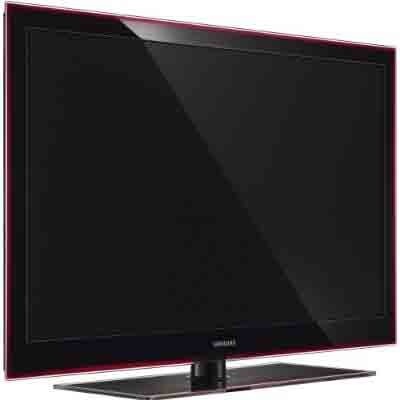 Granted it doesn’t have the same level of blacks as the more expensive Samsung LN52A850 52-Inch for $2299.89, but most people can’t even see the difference unless they have a very keen eye. Note newer versions have come out - one at 240Hz and another with LED backlight, but the deal on these current models is pretty good in that you also receive $200 off of select Samsung Blu-Ray Players like the Samsung BD-P1500 1080p Blu-ray Disc Player, but for an extra $69 I would opt for the Samsung BD-P1600 1080p Blu-Ray Disc Player with NetFlix and Pandora support. Both support BD Live and software upgrades. If you don’t need surround sound you can get the Samsung LN52A650 52-Inch for $1899.98 it also has a smaller bezel as a result of the lack of better surround sound speakers and a built-in subwoofer that the Samsung LN52A750 has. 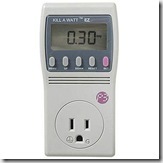 In honor of earth week get one of these so you can see and show your family how much energy they are wasting by leaving things plugged in and on. 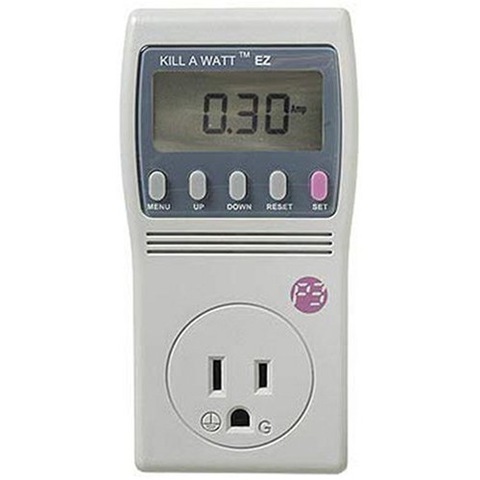 The Kill a Watt Electricity Load Meter and Monitor costs just $19.99 at NewEgg will calculate electrical expenses by any period while checking the quality of your incoming power by monitoring the voltage, like frequency and power factor. Now you'll know if it's time for a new appliance, or whether new items touted as "energy saving" are actually doing their job. OK someone emailed me and they wanted some games. 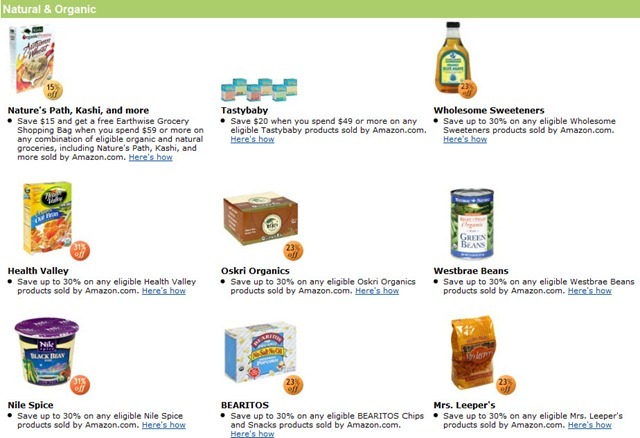 So I got some good deals in that department too. 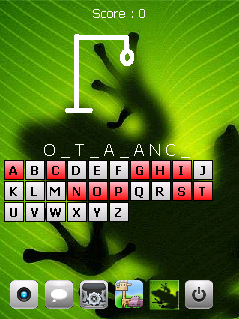 Hangman for Windows Mobile hey its free. The Orange Box features three highly-awaited new games by Valve: Half-Life® 2: Episode Two, the second installment in the Half-Life 2 episodic trilogy; Team Fortress® 2, the sequel to the game that put class-based, multiplayer team warfare on the map; and Portal, the game that blends puzzles, first person action, and adventure gaming to produce an experience like no other. One of the best PC Gaming packages ever and for under a Hamilton. To bring gamers up to date with the Half-Life 2 universe, The Orange Box also includes Half-Life 2, the best-selling and highest-rated action game series of all time, and the episodic debut Half-Life® 2: Episode One. Well its finally here the long awaited HP Pavilion dv3t with Intel Core 2 Duo processor the same one we saw at CES 2009, is now available through www.HPDirect.com and select retailers nationwide. Starting at $799, this thin and light, full-powered notebook PC brings the latest in entertainment and performance in a stylish and highly mobile design. At about 1.25-inches thick and just under 5 lbs, the dv3t features integrated optical drive and optional discrete graphics for entertainment on-the-go. Extended battery life and a full range of connectivity options make it ideal for customers who want to work and play without being tied to the office or home. 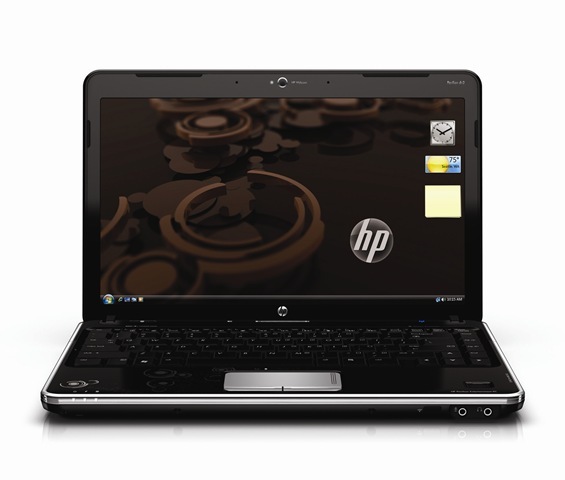 The unit we saw at CES was very well built rigid like a MacBook Pro and had a slot Blu-Ray Drive with a full size backlit keyboard, the first one I had seen for an HP laptop. Today, millions of people around the globe come together to celebrate Earth Day. Since its founding in 1970, Earth Day has led to the passage of major environmental protection legislation, the creation of the U.S. Environmental Protection Agency, and many other positive actions for a cleaner, healthier, and safer environment worldwide. Last month we had the opportunity to tour the facilities of Boston-Power, one of the companies making a difference not only in how we use technology, but also how we take responsibility for taking care of our environment. Boston-Power had announced that HP made available its new brand of eco-certified notebook PC batteries – the Enviro Series – based on Boston-Power’s next-generation Lithium-ion technology, Sonata. This marks the first time a U.S.-based battery company has ever sold battery technology to a notebook PC provider. The Enviro Series battery is compatible with more than 70 percent of HP’s consumer notebook models. As the world’s top provider of notebook PCs, that’s a very large PC user community! Boston-Power is equally excited that HP is featuring the Enviro Series battery in its Earth Day promotion – providing customers with a great discounted price of $119.99. This makes it even easier for people to experience the great benefits of Sonata such as long life, the industry’s longest warranty (three years) and reduced environmental impact. We at Boston Pocket PC encourage everyone to consider every day as Earth Day, since environmental responsibility is something that should be observed everyday. Spb Software, one of our favorite mobile software companies, releases the long anticipated next version of one my favorite software applications Spb Mobile Shell 3.0, the next-generation user interface for Windows phones. Spb Mobile Shell 3.0 accounts for two different smartphone use scenarios: at work and at play. The application offers distinctive 'professional' and 'lifestyle' desktops, integration of picture contacts with Facebook, account-sensitive email indicators, handsome time and weather screens, widgets, responsive kinetic scrolling, signature 3D animation engine, and other appealing assets that change the way a Windows phone is used altogether. 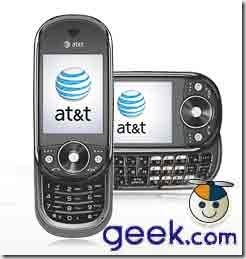 Previous versions of Spb Mobile Shell were shipped by a number of innovative phone makers, such as Acer, O2, Pharos, Sony Ericsson, and Toshiba, have won numerous awards, and have been the choice of millions of customers. "It was challenging to design 3.0, as customer expectations are quite high," - comments Yaroslav Goncharov the Spb Mobile Shell Product Manager and CTO at Spb Software - "On the other hand, this level of success gave us confidence in our basic ideas and design philosophy, and we certainly feel that Spb Mobile Shell 3.0 has all it takes to be the strong foundation for a host of new and immensely popular Windows phones." Many integrated tools such as Weather, World Time, etc. Spb Mobile Shell 3.0 is available in 24 languages, is compatible with Windows phones running Windows Mobile 5 and later Professional platforms, qVGA, VGA, Square QVGA, and WVGA screen resolutions are supported. 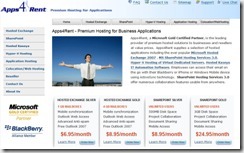 A free, 15-day trial can be downloaded, or Spb Mobile Shell can be purchased for 29.95 USD from www.SpbSoftwareHouse.com. Users of any 2.x versions of Spb Mobile Shell are welcome to upgrade to Spb Mobile Shell 3.0 for just 14.95 USD. According to Spb Software's upgrades policy, all Spb Mobile Shell users who have purchased the product within the last 90 days, are invited to exchange the previous version of software for the newly released one, for free. I have been using it for a few days and really like the Facebook integration of being able to change your contact/call pictures to ones in a persons Facebook profile. I would have loved to see more integration with Facebook and possibly Twitter in the future. I will be posting up more detailed review soon. 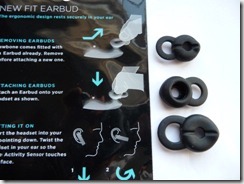 Check out Remo Knops Step-by-Step over at MobilityMinded. OtterBox introduces two new cases to protect your phone from your active lifestyle and not so active lifestyle (I know a few people that have broke their phones sitting and standing still - you know who you are) One is a sleek, curve-hugging case for the BlackBerry® Curve™ 8300 series smartphone from Research In Motion (RIM) part of the new Impact Series™ skin-style case offers recognized OtterBox protection in a slim, portable design. 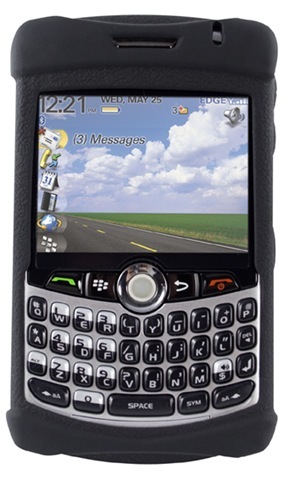 Recently enhanced to provide even more protection, the Impact Series for the BlackBerry Curve case line now includes a self-adhering, clear film to safeguard the screen of your Curve from scratches, dirt and dust. Durable silicone provides trustworthy protection and inner coring along the spine and in the corners of the case offers extra shock absorption to dissipate impact away from your device. The “otter” one (sorry I couldn’t resist) is also a new Impact Series™ case for the HP iPAQ Voice Messenger. This new case provides added protection against bump and shock and incorporates a new element with screen protection and is available exclusively in HP’s signature midnight blue. 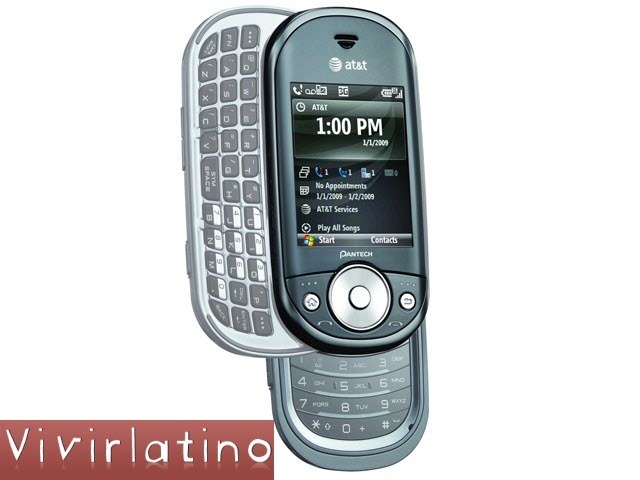 All OtterBox Impact Series for the HP iPAQ Voice Messenger cases provide added protection against bump and shock, but this case incorporates a new element with screen protection to safeguard from scratches. Both cases retail for $19.95. Thanks to all who attended our Windows Mobile User/Developer Group meeting last night. It really was a great “giveaway night”, with lots of goodies for everyone. As promised, I have posted the PowerPoint presentation in PDF format (don’t worry – the HTML links still work) and the example MortScript in all in a single easy-to-download ZIP file. 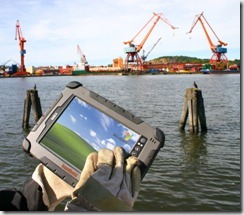 Handheld US, a supplier of rugged mobile computers, announced a major upgrade of its Algiz 8 tablet computer. The upgrades include a faster processor, a brighter outdoor viewable display, a 50% increase in the standard hard drive capacity and a 100% increase in the standard RAM memory. Designed for harsh environments the new version of the Algiz 8 has been upgraded with the new Intel 1.1 GHz ATOM processor. The new ultra-low voltage processor will improve both performance and battery life. 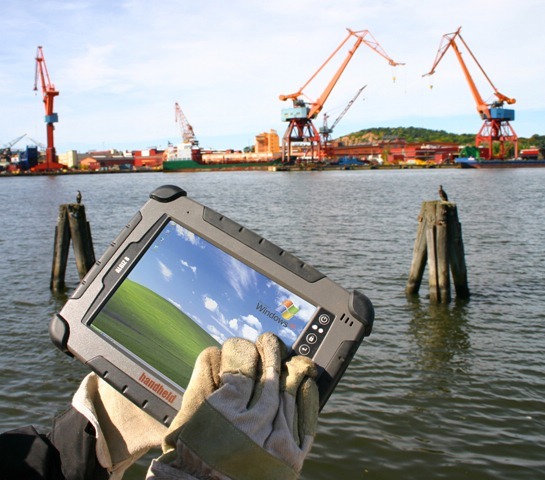 The Algiz 8’s optional outdoor viewable display has been upgraded to a new screen with brightness of more than 1100 nits. The size of the standard shock mounted hard drive has been increased from 40 GB to 60 GB, and a solid state flash drive is available as an option. And the RAM has increased from 512 to 1024 MB. The new Algiz 8 is available immediately. 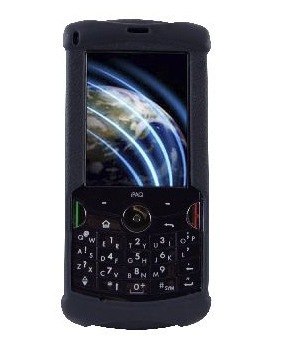 Potential customers and value-added resellers can find additional product information at www.handheld-us.com. 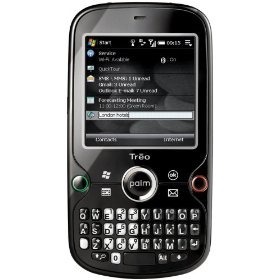 Amazon has the Palm Treo Pro unlocked and without a contract for $399 - great deal for an unlocked phone. Scott eVest is having an 8th Anniversary Secret Sale shhh to celebrate their of 40% off select items. Use discount code SECRET8SALE. It ends Friday April 17th so hurry to get hold of some of the best gadget clothing out there. I can’t count how many compliments I get on my SeV Ultimate Hoodie especially in airport security for some reason. J&R is selling the HTC S740 aka Rose unlocked with free shipping for $299.99. 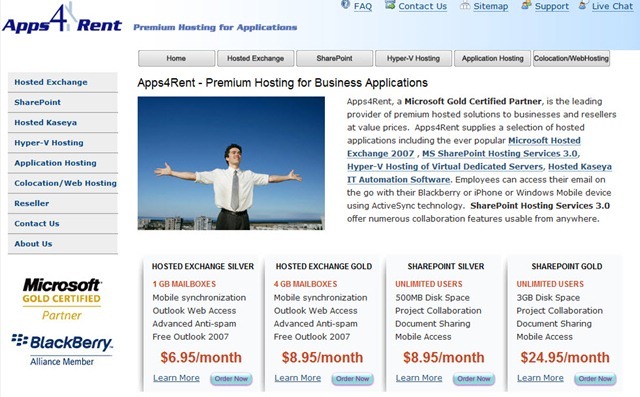 Apps4Rent has got both hosted Exchange and Sharepoint on the cheap starting at $6.95/month for 1GB of Hosted exchange and 100MB of Sharepoint storage. 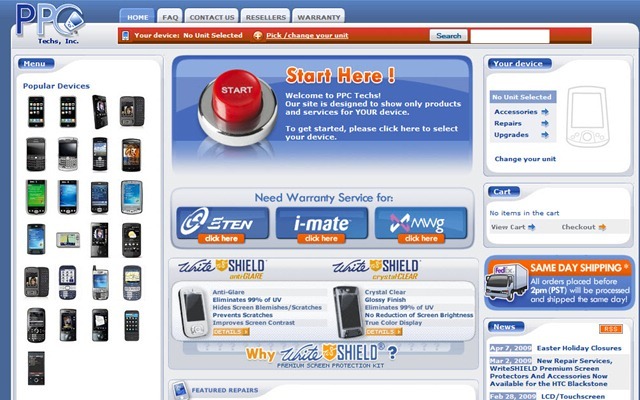 PPCTechs (one of my favorite places to get replacement parts and accessories for my devices) is pleased to announce their Tax Day Special by offering a 25% discount on all accessories on April 15th. Orders must be received between the hours of 12.01am and 11.59pm PST on April 15th 2009. Customers can use the discount code TAXDISC09 in the special instructions/comments field during checkout. Add me to the long list of people who have been won over by the Pure Digital Flip Ultra camcorder. 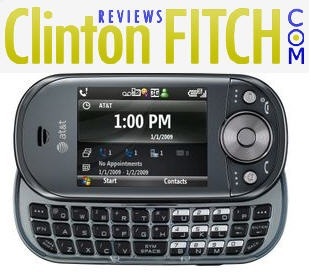 Not for a long list of features, mind you, but just the opposite. Simplicity of use is key here. While camcorders have gotten smaller, they are still a pain to lug around during all-day excursions (especially when everyone is active). Example – our family’s last vacation at Disney World. One more bulky item to carry around the parks when traveling light is essential. Let’s face it – most camcorders are something you tend to treat with kid gloves. Only the most daring will take along an expensive camcorder on an outing where the risk of drops or bumps can occur. I always say that I am born to operate a camcorder for two reasons – big hands and long fingers. With many camcorders I have tried or used regularly over the years, even the simplest of operations (like starting and stopping recording) required two hands to complete. And don’t get me started on advanced features; try to change settings on some camcorders while shooting and not destroy the video. I also have found too many camcorders require you to become an expert on the hardware in order to perform anything other than the most basic of operations. The result – you see me in very few family videos. I am always the “video technician”. Most camcorders take time to power up and start shooting video. When you want an “in the moment” shot, you either have to be always ready or run the risk of missing out. To be honest, most camcorders still make this a difficult process. 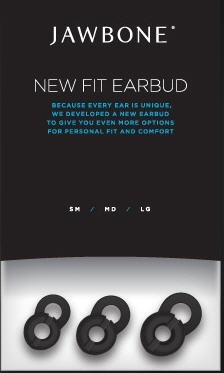 Whether it is the additional cabling, proprietary drivers or proprietary hardware, nothing ever seems to go as planned. 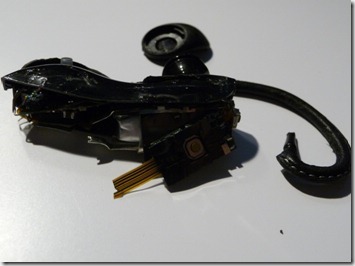 Example – our current family camcorder. 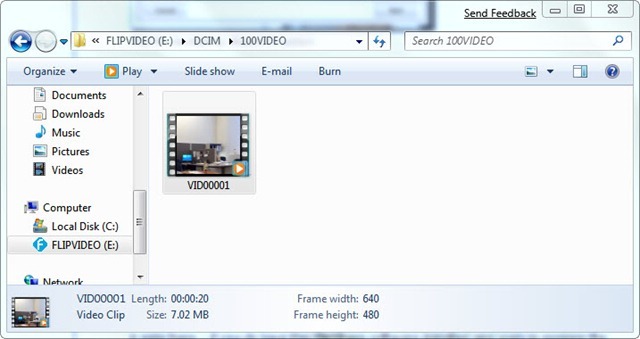 Between drivers that won’t work properly under Windows Vista and software that is just outright buggy, the process of moving video to the PC for editing requires both patience and expert knowledge. I had heard quite a few positive things about the Flip Ultra from people I know. 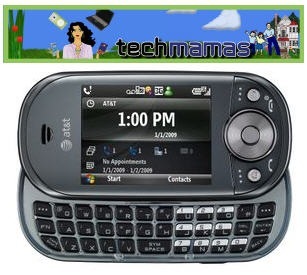 Importantly, I heard good things from people who were not “tech savvy”. When a deal good good to pass up showed up one day at woot.com, I decided to take the plunge. Folks – it was well worth it. Anyone who knows me or has read by reviews over the years knows I am a huge fan of Sling Media’s Slingbox. 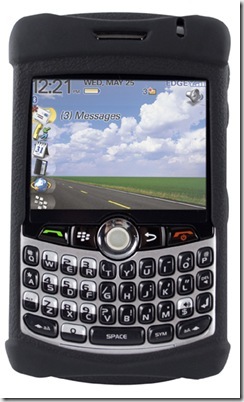 From Day One, my major argument for the product being a success was the design emphasis on simplicity. The hardware and software just works, without the need for deep technical knowledge. Until now, I found no other product that provided so much with so little technical effort. 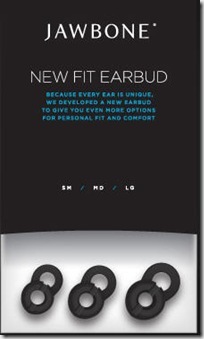 The Flip Ultra becomes the second product to achieve that distinction. 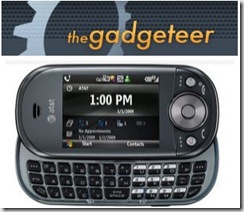 At just over 2 inches width by 4 inches height, and weighing in at a svelte 5.2 ounces, this is one “pocketable” device. I love being able to just drop the Flip Ultra into my pocket and go. Simplicity often results in a certain amount of durability. Such is the case with the Flip Ultra. Not a lot of moving parts to break here. 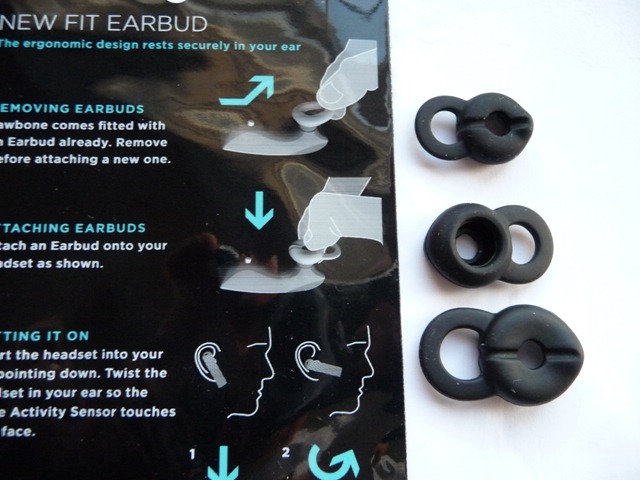 Combine that with solid casing, and I immediately have a level of comfort with the device. 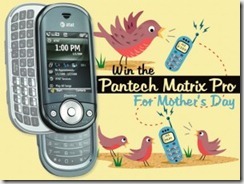 Heck – I’m even willing to hand over my Flip Ultra to my sons (ages 8 and 4), which is really saying something. Any device that requires less than a minute of explanation to describe operation is a winner in my book. Add to that the ability to explain that to a child and for them to get it, and you have a HUGE winner. 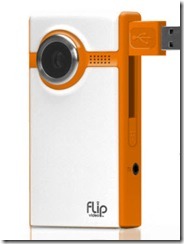 Let’s be clear – the Flip Ultra is not a high-end, feature-rich camcorder and it never should be. 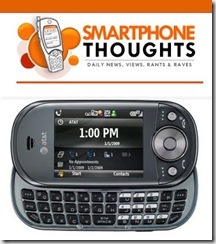 That is the beauty of the device; ease of use. From a complete power down state to recording is less than 2 seconds. A power button on the side brings the device to a ready state almost instantly (the true beauty of flash memory and good industrial design). One button push and recording starts. It’s all about designing for usability, folks. 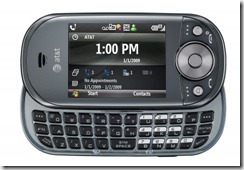 A USB adapter is built into the Flip Ultra. Pop it out and plug it in to your PC to start the transfer process. 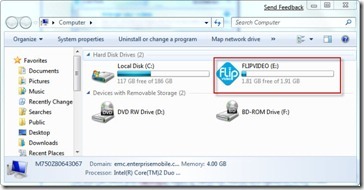 The flash memory is configured to detect it Pure Digital’s FlipShare software is already installed. If not, you can install it – directly from the Flip Ultra itself. Once installed, the software runs and even checks for updates (the software on my device required an update; easy enough to do and only took a couple of minutes). FlipShare is designed for – you guessed it – ease of use. 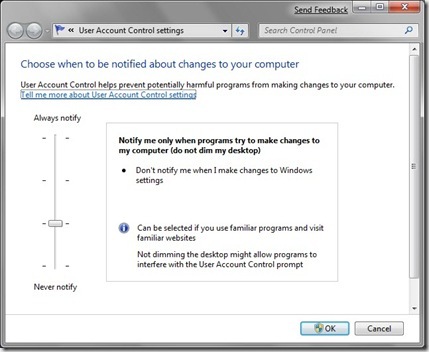 Drag and drop to transfer files from the device to your PC. You have a multitude of options here, including sharing files via email, uploading to popular services like MySpace and YouTube, creating movies or burning DVDs. All of FlipShare’s options are wizard-based, making the process simple and usable for just about anyone. 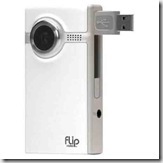 For the Flip Ultra and FlipShare, video is captured, stored and saved in MPEG-4 AVI format. 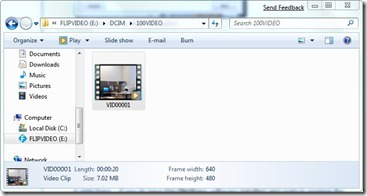 If you wish to convert to other formats, there are any of a number of freeware and pay-for converters available (including higher-end video editing tools). If you choose not to install the FlipShare software, that’s OK as well. You see, the device also presents itself as a USB Mass Storage device when connected to your PC. It’s a camcorder! It’s a storage device! 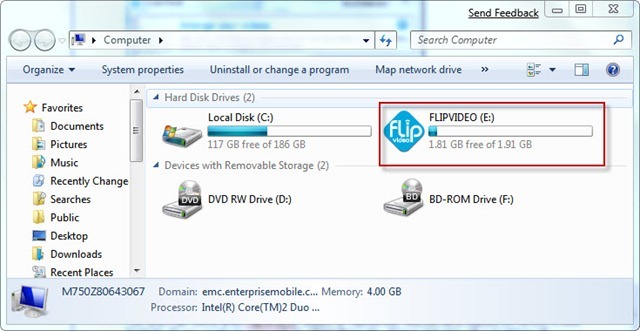 A note here – if you do have the FlipShare software installed and wish to explore the device from File Explorer, you need to right click on the “drive” and say open. The default association set up on the device makes a double-click prompt for software install. Flip Ultra in File Explorer view. 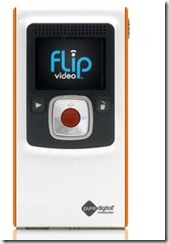 All in all, the video transfer and basic editing/upload process is made almost trivial by the Flip Ultra and FlipShare. That in and of itself is quite a statement when coming from a camcorder world that is just the opposite. The Flip Ultra is capable of storing 1 hour of video. This may in fact be the only downside to the device that I can personally see. 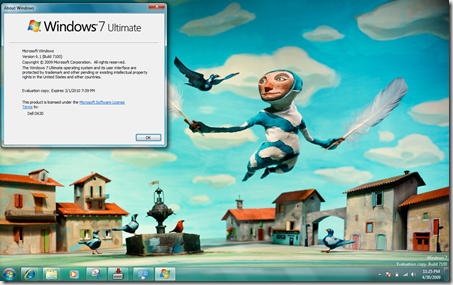 I have enjoyed using it so much in such a brief period of time that I may find myself needing to download frequently. 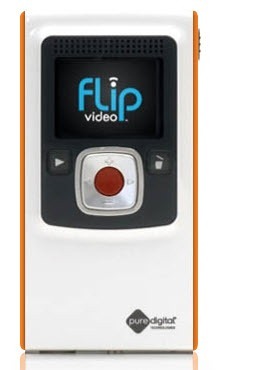 The Flip Video (the Flip Ultra’s sibling) is only capable of 30 minutes of recording. 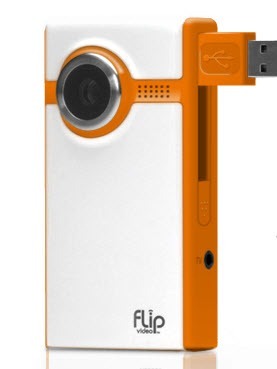 There is also the slightly more expensive but slightly smaller Flip Mino at 60 minutes of recording, and the new Flip MinoHD (capable of 1 hour of recording in high definition). 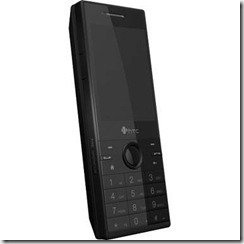 You can see and compare the specifications at the Pure Digital web site. 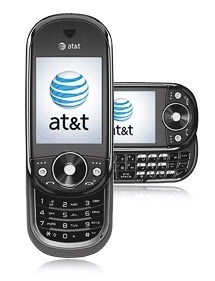 I cannot speak highly enough of the Pure Digital Flip Ultra. I really believe that Pure Digital has finally brought the end-to-end experience of basic video recording to the masses. It’s that time again! 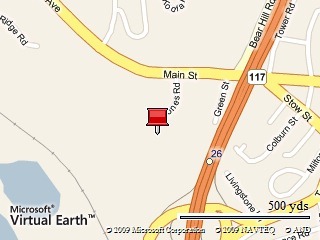 The next meeting of the Boston/New England Windows Mobile User/Developer Group will be held this Wednesday, April 15, starting at 6:30 PM at the Microsoft offices in Waltham, MA (201 Jones Road, 6th floor). A special note: This meeting will be held in the Rhode Island Room (in the back of the offices, near the kitchenette area). Our normal meeting space is being used for training all week. 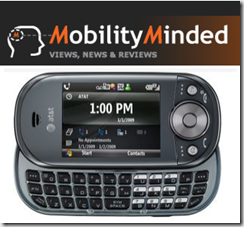 Have you ever wondered how to improve your Windows Mobile device’s performance? 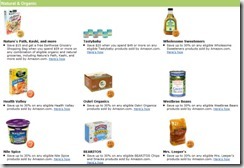 Customize functionality or appearance? Automate common tasks? 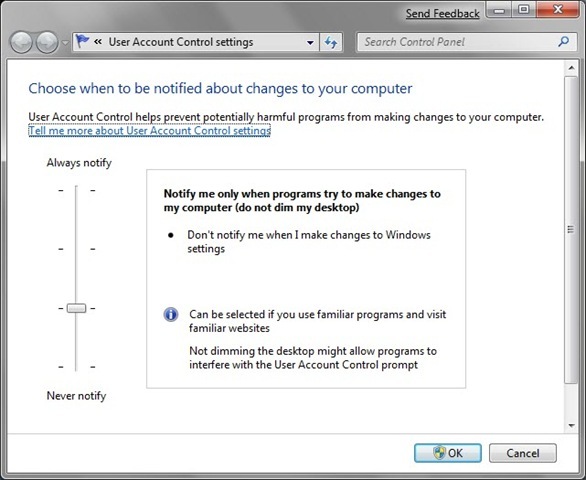 This month’s focus will cover the various ways you can enhance your device using registry settings, tools and applications. As always, we will have lots of goodies for giveaway at the conclusion of the meeting. Vito Technology wants to inaugurate spring with a new offer for its customers. With its newly created 'Tuned in Package' customers, buy 2 applications and get 1 free. The Tuned in Package includes: audio bestsellers AudioNotes, SoundExplorer and RingtoneEditor for $14 instead of $21. All information can also be found on Vito technology’s new offers page where users can get up to date with current offers by VITO Technology and enjoy them. So go and get Tuned! Make your MP3 notes filed and send them around via mail or MMS with AudioNotes, create your own ringtones and share them with your friends with RingtoneEditor and... more get your player and audio recorder onto your phone with SoundExplorer. All for the price of $14 instead of $21. 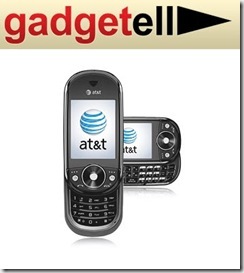 RingToneEditor allows you to make ringtone of any MP3 file. You just need to start the app choose the MP3 file that starts playing press the "Start" button and then "Finish" button. 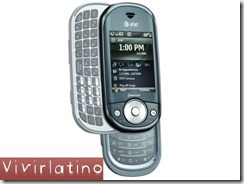 The Ringtone is ready, now you may save it or set as a default ringtone immediately. AudioNotes is for making audio notes. You may just with one tap (firstly assign the hardware button) start recording with the help of your WM device in any situation. 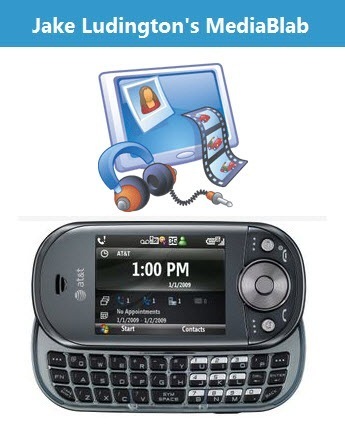 Or if your device doesn't have any restrictions for calls recording then you may record important calls to have this information at your device. SoundExplorer is for not only recording your notes and lectures it can be a great tool for reproducing your notes using different speeds of playing and creation of playlists. Besides it reproduces different formats like mp3 and wav. It also has equalizer and VAS. 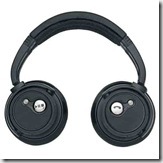 You may edit ID3 tags and even convert wav files into mp3. Any of of these three products is well worth the $14 price. All 3 for $14 – that’s a real deal! Anyone who knows me knows I have been a longtime fan of Sprite Software and their products. Some of their offerings (Sprite Clone, for example) were way ahead of their time. 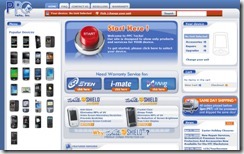 Now, Sprite Software once again provides a solution leveraging the power of the Internet in Virtual Mobile. Virtual Mobile is an online service allowing you to backup and control your whole mobile life. 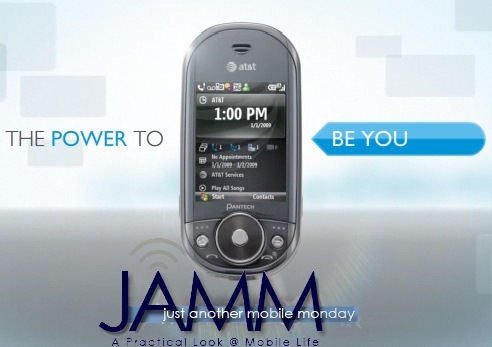 It allows you to securely remote control your mobile device and its data from any computer with an Internet connection. Virtual Mobile is a combination of all our award winning software. Secure your mobile device online with our new integrated Backup, Device Management and Security solution. 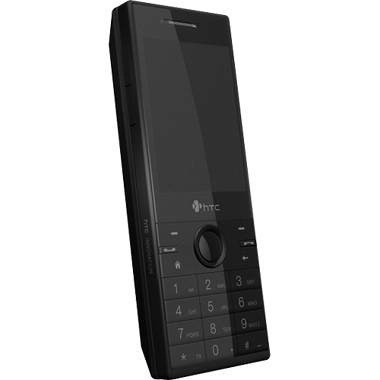 You can also remotely lock or wipe your device, and can even remote control your device! Virtual Mobile is currently in beta, and is free for the beta period (no word yet on release or pricing). 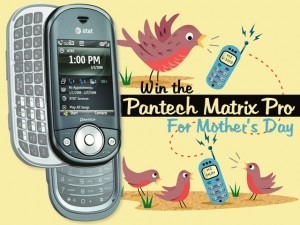 To learn more or to sign up, visit the Virtual Mobile page. 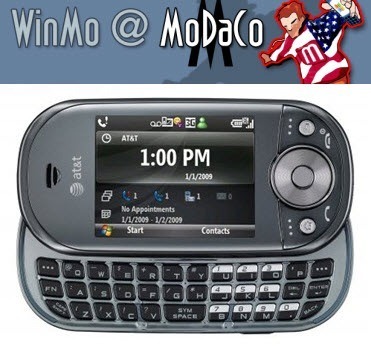 In an aside: It will be interesting to see how Virtual Mobile (and other similar products) will fare and compete with Microsoft’s MyPhone offering, scheduled for release in conjunction with Windows Mobile 6.5.